For Harper, who has been at Killara High School for one very busy and exciting year, his key responsibility is to drive teaching and learning for students and teachers with a strong technology focus. Harper believes strongly that for his students to prosper in the new work paradigm, they must be independent lifelong learners who are creative, versatile, and adaptable. The Killara BYOD learning hub was designed to support teachers, students and parents through a blended online learning environment. This website provides training and support for the Killara community to integrate technology seamlessly into the learning fabric of the school, all to enhance student learning outcomes and increase student engagement. The learning hub features a broad range of programs, videos, information, and innovative ways to leverage technology for lifelong learning. To drive quality teaching and learning in the classroom, Harper and his team set up an extensive training program for all teachers at the school: The Teacher Techno Lounge Training program. And while Harper and his school are clearly embracing technology in their day-to-day learning, he recognizes these changes do not come without challenges. “Digital advances and innovations have changed societal norms, the way we communicate and interact,” Harper adds. “The rise of artificial intelligence (AI) and automation will continue to accelerate disruption to many areas of the workplace and society. Harper was part of a roundtable discussion at the headquarters of the New South Wales Department of Education earlier this year on how educators can creatively reimagine contemporary teaching, learning and policies to allow students to prosper. 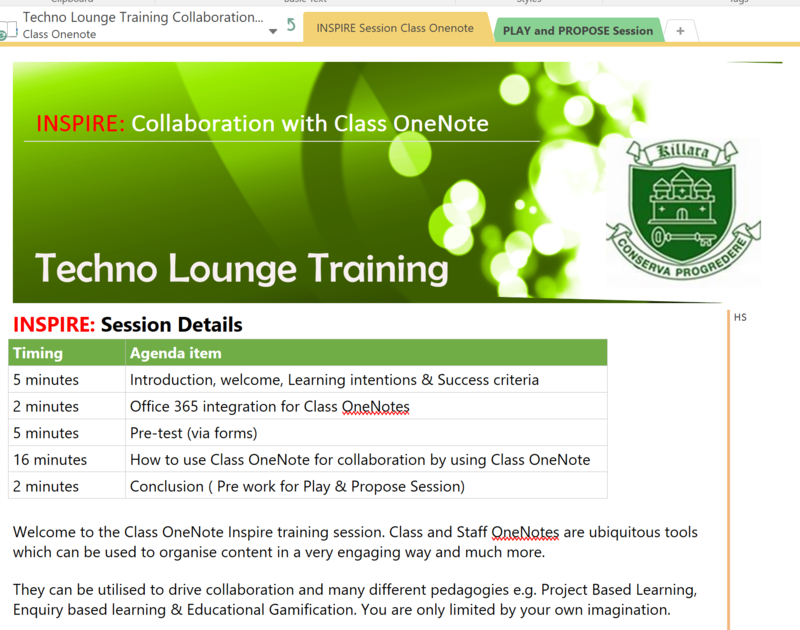 You can connect with Simon on his blog, or via his Microsoft Educator Community profile link. 1 year Head Teacher Technology and Learning responsible for BYOD, computing and driving innovation through staff professional learning to transform learning with technology. What is the best advice you have ever received? You never stop learning. Grab hold of opportunities or make them happen.